Princess Leia Organa of Aldeeran, better known as Carrie Fisher, has sadly passed away. A cultural icon best known for conquering an evil empire, bipolar disorder, and even the awful demon of drug addiction has, sadly, succumbed to complications of a heart attack. May her strength, spirit, and poise in the face of adversity be forever an inspiration to anyone fortunate enough to be familiar with her work. 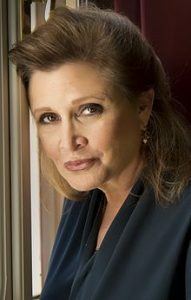 She came to prominence in 1977 in small, independent film called “Star Wars.” You might have heard of it, and she has been the Princess, and later General, of Sci-Fi ever since. That’s a high title to have, but she was so much more than that. She was a pioneer. Leia was, and still is, one of the best examples of how to write a female character. She’s intelligent, fierce, and formidable in the face of overwhelming malice and destruction while still representing the poise and grace of the fairer gender. 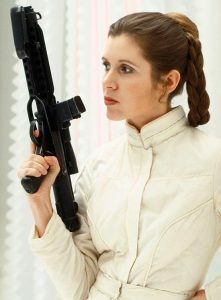 Leia shatters the “damsel in distress” archetype and the credit for that goes to Fisher’s embodiment of that character. She was a warrior. I have had the privilege of knowing many people who have been affected by bipolar disorder. It is a terrible affliction that places a shadow on your life and the lives of those around you and it takes a special, often tragically understated strength and tenacity to fight back against this illness. But the Princess did. She found power and dignity in her pain and rather than succumbing to those invisible demons, she became an inspiration to millions with similar psychiatric diseases. She was an unsung virtuoso. Not only was she a fantastic actress, but she was an author, director, producer, and screenwriter. A quick study of her filmography will show just how entrenched she was in the “business” and how multi-faceted her talent was. Furthermore, she was a “script doctor.” A script doctor is someone screenwriters go to, to refine and strengthen their work. She was a writer’s writer if you will but, unfortunately, screen doctors are seldom credited for their contributions. Hollywood lost a force of nature today. And above all else, she was a diamond. Diamonds are forged when ordinary carbon is subjected to obscene amounts of pressure. And from that pressure, the carbon hardens, crystallizes, and shines brighter and all others around them. Carrie Fisher was one such diamond. She thrived in a male-dominated industry, she fought back from the aforementioned darkness of mental illness and addiction, and with her raw talent, scathing sarcasm, and razor-sharp wit, cultivated a fan-base that spans across generations. I’ll leave you my favorite quote of hers: “Sometimes you can only find Heaven by slowly backing away from Hell.” She may be gone, but she’ll always be our Princess.